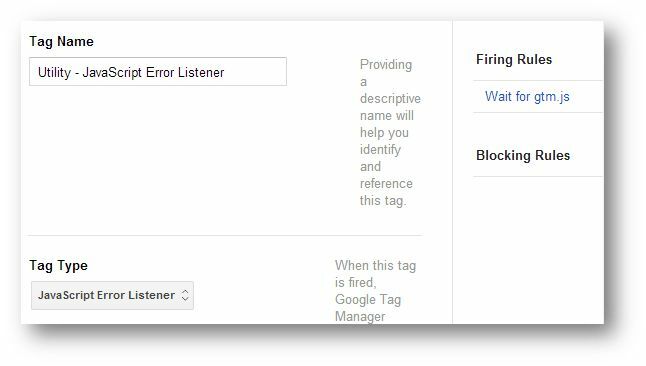 Let’s say you want to set up a rudimentary email alert system in your Google Tag Manager implementation. Say, for example, you want to receive an email every time an uncaught error occurs on your website. It’s not a very good use case, since a large website can spawn hundreds of uncaught exceptions in a short period of time, but let’s just pretend for now. Word of warning: The examples in this post are very rudimentary and serve simply to show you what the basics are of sending your emails using GTM. Before you start coding a mailer system of your own, make sure you familiarize yourself with the documentation so that you don’t accidentally or unintentionally open a door for mail spammers. So first, set up the error listener with a firing rule of your choice. I have it running on all pages, but if you want to monitor just a specific page, feel free to change the rule. Next, you’ll need three macros: one for the error message, one for the faulty URL, and one for the line number where the faulty code was found. The Custom HTML Tag below uses jQuery to send the POST request, so you’ll need to make sure that jQuery is loaded before the Custom HTML is run. I’m not a huge fan of jQuery or really any JS framework stacked on top of GTM, but for making POST requests using AJAX, it’s a huge help. Like I said, it’s really bare-bones. You should add some validation code, maybe utilize the success, error and complete callbacks and so forth. The next bit is about using jQuery’s ajax() function to send the data with a POST request to the custom PHP script. You’ll need to specify the location of the script for this to work. 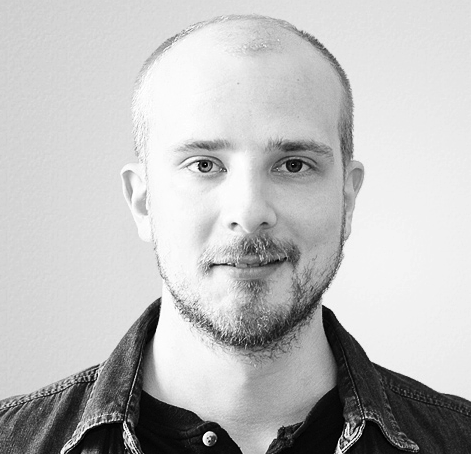 I wrote a very simple mail script, which you can find below. Save this as email.php and store it in a location you can refer to in the POST request. $message = 'Uncaught exception on page ' . $_POST['errorUrl'] . ', line ' . $_POST['errorLine'] . Again, very simple. The PHP basically waits for a POST request, after which it populates a variable $message with the payload data. Next, it utilizes the mail() function to send mail to my email with the subject [GTM simoahava.com] Uncaught error, and the error data in the message body. Mandrill is an online mailing system, which provides a pretty flexible framework for sending mail using their JSON API. I chose it simply because it’s free (you have to pay if you send more than 12,000 mails per month using Mandrill), and because it looks pretty simple to set up. To get the API key, browse to http://mandrill.com/signup/, and sign up for access. 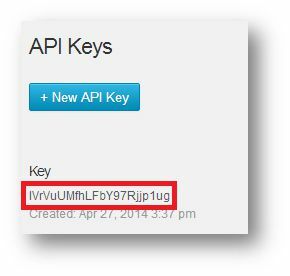 Once you log in for the first time, you should click on the “Get API Keys” button. In the next screen, choose the “+ New API Key” to generate a new API key for you. You should immediately see your newly generated key in the list below. As you can see, you need to add a bit more information into the payload object to satisfy the requirements of the Mandrill API. The code itself is pretty similar to when we sent the POST request to the PHP script, with the notable exception of having to declare the dataType parameter explicitly as “json”. When the mail is sent successfully, you should again see a pretty hideous email in your inbox. By the way, take a look at Mandrill’s reports. You’ll see some pretty interesting data on your API use, so if you want to build this into a whole email-system-thing, you can use Mandrill’s powerful features to diagnose your mail traffic. If you want to build on this idea, be sure to make your code as waterproof as possible. Hijacking someone’s mail script is a really easy way to cause a lot of damage in the form of spam. Also, I don’t like the fact that you have to provide the Mandrill API key “in the open”, so you might want to look at Mandrill’s PHP client as a way to use Mandrill’s API to send the mail server-side. And before you try anything, the API key I created was just for testing purposes, it no longer exists. Anyway, perhaps at some point GTM will support sending mail via GTM’s own protocols, which will make this post nice and obsolete, but until then: have fun!